The first day of Fall is Sunday and we are already beginning to see the weather cool down a bit… yippee! So begins another season of fun! Some of you have shared that you enjoy posts regarding ideas of things to do around town so this post is dedicated to that. Fall brings to mind pumpkins and farms and there’s nothing better than taking your child out to explore nature. I just realized that my youngest (poor little 3rd child) has never been to a pumpkin patch. Whoops. But, try taking a family of 5 to a local pumpkin patch and see how much money you spend! Which is why I love the link above. Click on it and it will take you to a coupon for Johnson Farms Pumpkin Patch… 50% off! Hurry, though, the offer ends on Sunday. 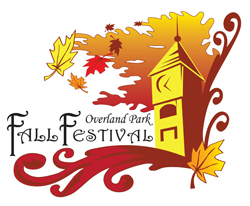 One of my favorite fall events is the Overland Park Fall Festival. If you know me or have read my past posts, you can probably guess why: cheap, easy, and entertaining! This is a large craft show with live (free) music from local artists, lots of entertainment for the kids including puppet shows and displays set up from local companies like Mad Science. It’s a win situation for everyone! Fall also brings to mind apples! The link above will take you to some local farms that allow you to come and pick your own apples. Please always make sure you check the daily picking report before venturing out! Speaking of apples, Louisburg Cider Mill is also a fun place to visit for fall and they also have an annual festival. Check out information on that event below. I highly recommend their cider donuts! There are so many great local events and places to explore! But, don’t forget how much fun just hanging out at home can be too! Baking together at home is always fun. Children usually especially enjoy pumpkin bread! Or, after visiting the pumpkin patch (or the local grocery store) for pumpkins, let your children decorate them with paint! Just a reminder, too, that Aldersgate United Methodist Church has their own pumpkin patch beginning the week of September 29! Our own preschool Fall Festival is coming up on October 3, too. What types of things does your family enjoy doing in the fall? We’d love to hear from you! Are they learning their letters? I read over the emails that go out to our classes. On Friday Shelly Todd sent a wonderful email to the 4/5 year old Enrichment class. While she goes into detail about their whole day, the part I want to share is about their circle time. It shows very well how children learn about letters and reading through environmental print, seeing words written (demonstrative writing) and reading to children. Here is this portion of her email. We had another spectacular day today in Enrichment. I really do mean that… your children tell us that they’re having fun! Today we read the book If You Give a Pig a Pancake. One of the children even said, “hey, pig and pancake both start with ‘p’!” Yep, your children are rock star learners! 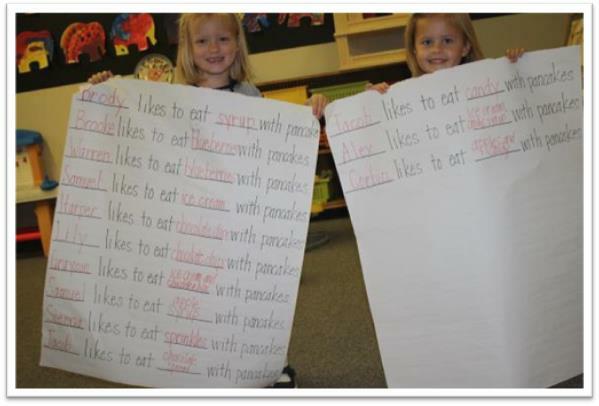 Before we read the book, we shared what we like to put on our pancakes. It was fun to listen to the children share their ideas. While I was writing the words and we were reading them, many children made observations about what they saw, “Brody, Brooke, and Warren all have ‘r’ in them!” Your children are recognizing words and letters and this is so wonderful for their beginning reader brains! Letter identification, recognizing words, reading and writing is developmental and quite often will happen naturally as children are surrounded with text and literature! We hope you know that while your child is not doing flash cards and worksheets, he/she is learning in the most effective way: through rich experiences! 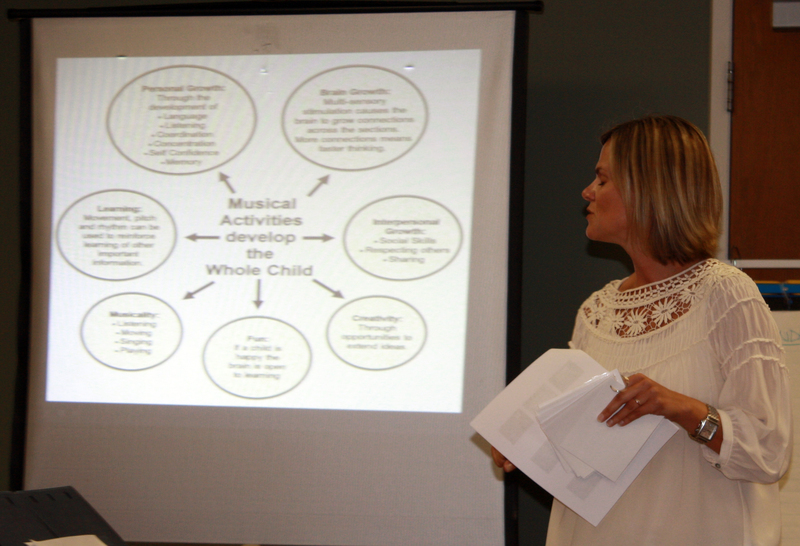 Categories: Child Development, Play | Permalink. Yes, I will admit it – I enjoy a daily dose of Diet Coke. And, Sonic is way too convenient for me. Today I enjoyed watching the construction activity while I waited for my drink. It is interesting to watch how they move all the dirt around, load, pour, etc. As I sat at the picnic tables I thought we should bring kids over to watch all this activity. They would love it. Then, my practical side thought of all the dangers of doing that with a large group. Instead, I encourage you to stop by Sonic during the next few days. 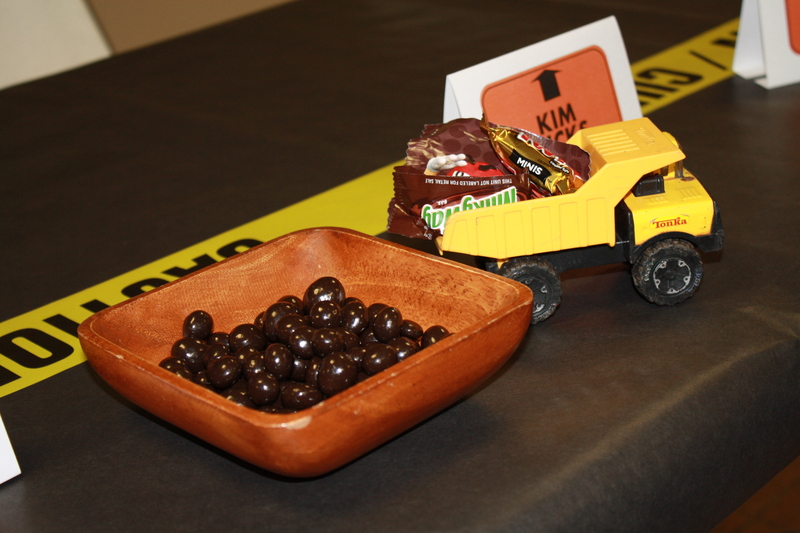 Enjoy a little treat while you sit and watch all the activity. How often do we get the chance to be so close to building equipment in ACTION! Humor is essential when you are working with young children. Do you laugh often as parents? Believe me, humor can diffuse those moments that might otherwise become stressful. As a staff we laugh a lot. With that in mind, we had a performance of the newly formed “musical” group, The Hard Heads! 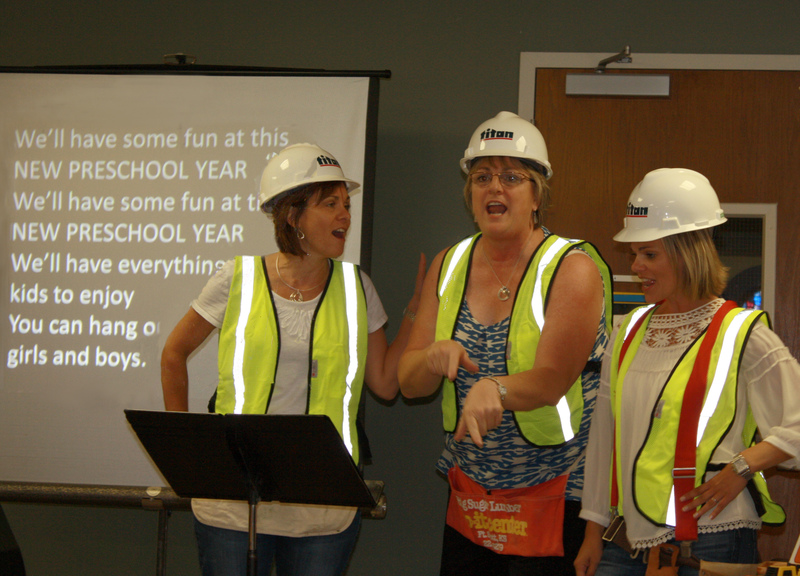 This group performed several songs that were modified to fit our preschool. You can hum along with the words on the screen to the tune of YMCA. We are silly and laugh a lot! While this happened later in our set-up week. 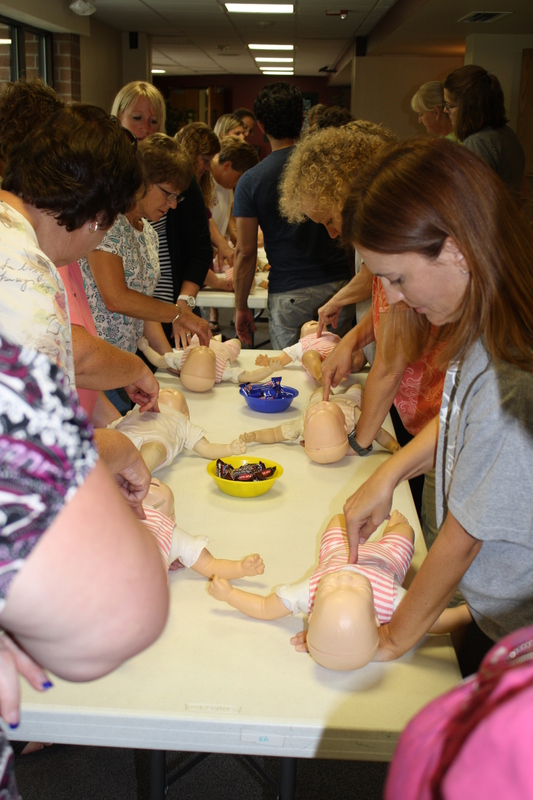 We were glad to refresh our training in CPR and First Aid. Have you had this training. If not, is this something you would like us to offer for parents? We rely on each other. We rely fully on God. 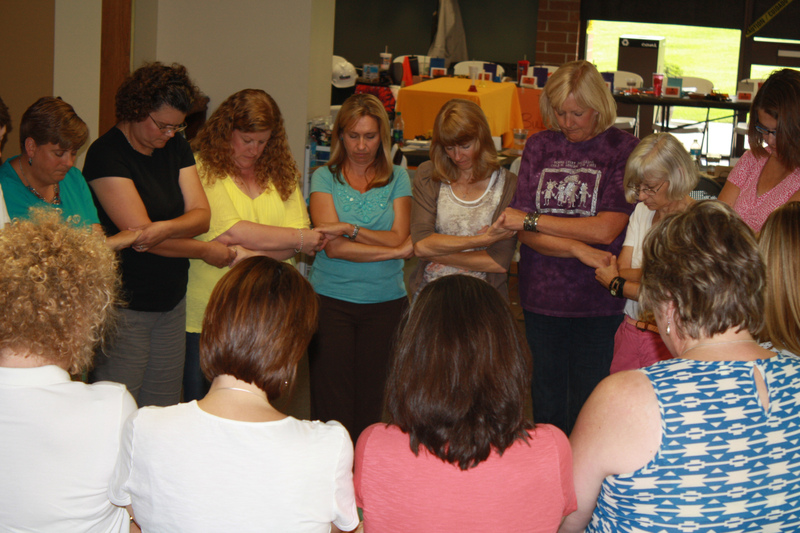 As a staff we gathered together making connections personally and then closing our meeting with a prayer of thanks for all the people and other support we have here at Aldersgate Preschool. It is inspiring to hear so much thanks as we begin a new year. 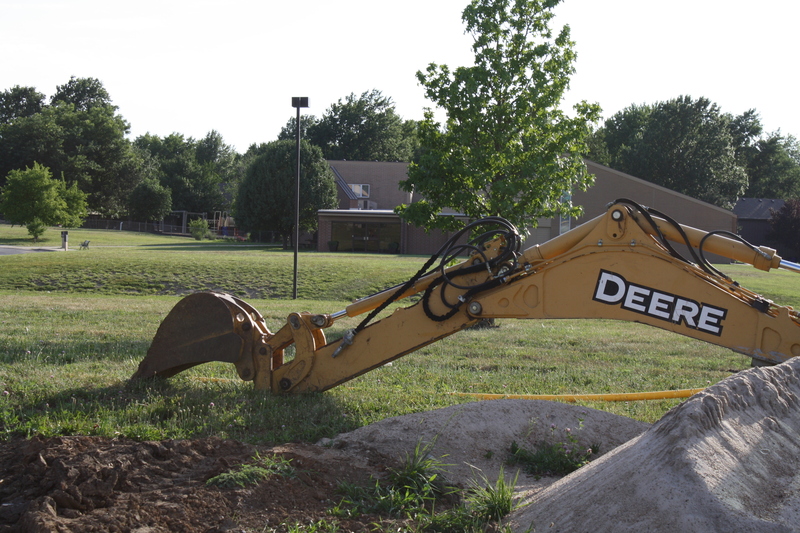 We are excited to start a year full of building! Building trust. Building connections. Building on skills. And, hopefully the building of our new roads will progress quickly too.